A little recap for you in the "Meet the Brands" Interview Series so far we've covered Botanical Brands, The Rose Tree and Bodhi & Birch. I suspect that out of the five brands attending Gorgeously Green Gathering, Myroo is the one most of you are not familiar with. I have had the pleasure of knowing Rachael since 2012 when we bonded over twitter regarding allergies. I have also reviewed her Starflower Orange Blossom Skin Boost Facial Serum which I highly recommended. Jen, Rachel and I decided to have Myroo involved in our event because we wanted to share with attendees at least one brand that was perhaps "off the radar" with bloggers. What does 'naturally beautiful' mean to you? Naturally beautiful is a woman who makes her own healthy (mind and body) choices, based on what’s right for her and not what society demands. A woman who loves her body for what it is and what it could be, not what the packaging is like. For me, it’s about helping women enjoy their natural beauty. We are sold such unachievable aims and ideals by the media. In the main, the beauty industry pumps out synthetic filled products and procedures aimed to help us conform to those unachievable goals. Myroo is different, I want women to step back and stop worrying about what they look like so much. I want them to choose Myroo because the products work, they enjoy using them and they help them look and feel great as part of a natural, healthy lifestyle. What has been your biggest challenge with your brand/products? As a brand that started as a kitchen-table business the challenges have been many, not least the amount of legislation to tackle. I think though, the most challenging part is also the part I love the most, product development. Sticking to the Myroo values of natural, artisan and effective is a challenge (it can be so much easier and cheaper to develop products using synthetic ingredients and it’s frustrating when so many brands greenwash) but it’s a challenge I enjoy rising to and won’t compromise. 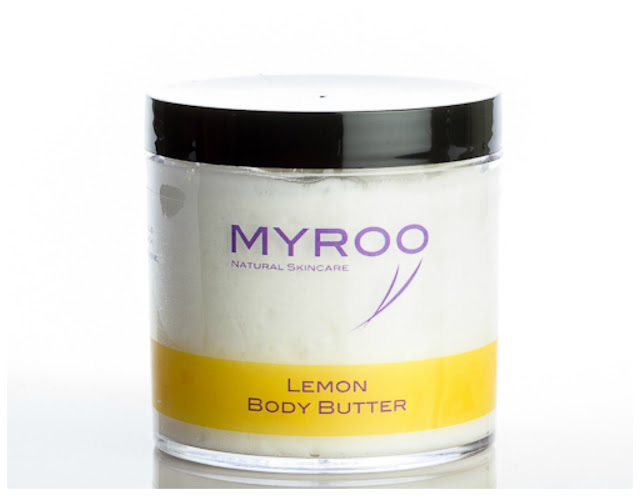 Which product(s) are Myroo's best sellers? My Geranium Hand Treat has been with me since the start and was always my best seller. Customers love it because it works. It’s a rich cream, very different to high street hand products, as it has no water, but it’s great for really dry, weathered hands. I have a lot of repeat customers for this product, that makes me really proud. Lately however, my Starflower and Orange Blossom Facial Boost Serum is threatening to steal the crown of best-seller. Of all my products it’s the one I use the most, it leaves my skin so soft and nourished. It won a ‘Special Mention’ award in the Beauty Shortlist awards and customers love it too. What does the future hold for Myroo? This is such an exciting year. I’ve already relaunched www.myroo.co.uk so it’s easier to use, mobile friendly and offers more methods of payment. There are several new products in the pipeline. I’m tweaking some existing formulations to make the whole range vegan. And I’m working on revising my packaging so customers can easily identify which products are nut free, dairy free and gluten free, issues close to home for me. What are you most excited about when it comes to attending the Gorgeously Green Gathering? A big thank you to Rachael for participating in our mini interview and we look forward to meeting in September. MyRoo is a band new to me. I'm off to check out the hand cream and facial serum now! They sound like a great brand with solid ethics. I'll have to check their website out. Fab interview as ever. Can't wait to meet Myroo!